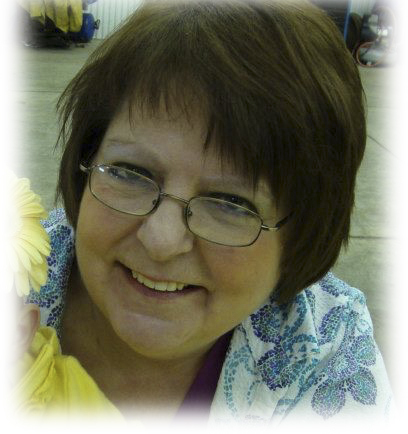 Dorothy J. DeMay, 61, of Sheffield, went home to be with her Lord & Savior on Thursday, January 17, 2019, at Clarissa C. Cook Hospice House in Bettendorf, IA, surrounded by her loving family, after a courageous and valiant battle with cancer. Funeral services will be held at 10:00 a.m. on Tuesday, January 22, 2019, at the Bunker Hill Church of God in Buda, IL. Pastors Stephen Myong & John Erickson will officiate. Burial will follow at the Mineral Cemetery. Visitation will be held on Monday, January 21, from 4:00 – 7:00 p.m. at Vandemore Funeral Home & Crematory, Atkinson Chapel. Memorials may be directed to the Dorothy DeMay Memorial Fund. Dorothy was born on August 7, 1957, the daughter of Richard and Josephine (Graham) Hathaway, in Geneseo, IL. She is a graduate of Atkinson High School. Dorothy was united in marriage to Dale E. DeMay on August 14, 1976, in Geneseo. Dorothy was a certified forensic interviewer for Henry County Children’s Advocacy Center, which served Henry County and its surrounding areas. She was also a substitute teacher for several Henry, Stark, and Bureau County schools. She was an active and long-time volunteer at the Women’s & Children’s Victims of Domestic & Sexual Abuse in Bureau, Stark, Putnam, and Henry counties. She was also a member of Bunker Hill Church of God. Dorothy was a lover of music and dancing and adored her grandchildren, who affectionately called her “Boma.” Dorothy could start a converstation with anyone, and loved to learn about them. She enjoyed spending time baking and gardening, and sharing her bounty with others. Throughout Dorothy’s life, her faith in God was never wavering. Those left to cherish her memory include her husband, Dale, daughters, Maeckenzie (Brian) Perino, Marseilles, IL, and Kaleena (Craig) Conrad, Galva, IL; grandchildren, Madilynn and Mason Perino, and Jake and Grace Conrad, a brother, Ron (Marsha) Hathaway, Decatur, AL; her sisters, Rebecca J. Hathaway, Sheffield, IL, and Laura J. Hathaway, Davenport, IA; and several nieces, nephews, and great-nieces and great-nephews. Dorothy was preceded in death by her parents, Richard and Josephine, her brother, Richard Hathaway, and by her sister, Jaqueline Cantero.